DIGITEK is a customer care establishment which aims at utmost customer satisfaction, our basic objective being to establish a long term and symbiotic relationship with our valued customers. To achieve this objective, we do a lot of value addition to provide the best experience to our customers. We try to update them about the latest technologies available, provide the solutions quickly and effectively and strive to provide the best after-sales support that is available in the industry today. 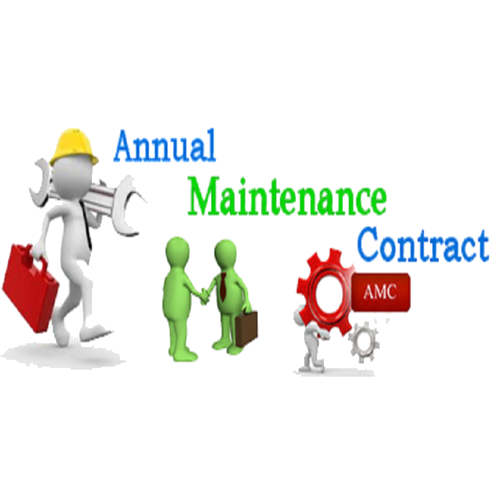 We maintain a very low machine per engineer ratio in our endeavor to provide efficient services. DIGITEK has the capability to provide services in the most remote locations, and to achieve that we have posted service engineers at several key locations. This has given DIGITEK the enviable reputation of maintaining one of the highest machine uptimes in the Industry. One of DIGITEK's main strengths is its ability to maintain the confidence of its Customers. Customer satisfaction has been the driving force behind our business growth. We have been investing in people and processes to sustain and improve service levels. It enabled us to achieve long and mutually rewarding relationship with our existing customers and win many referral customers. More than 70% of our business is through repeat orders from our existing customers. DIGITEK has been able to maintain the relations with its customers for years and years because of its fierce commitment towards customer satisfaction. Any company runs critical applications to ensure business runs like clockwork. However for that to happen, applications need to run like clockwork, and so do the IT infrastructure supporting them. That’s what DIGITEK ensures with the Facility Management Service. On-site engineers backed by a team of remote experts, ensure quick recovery from any system failure, and coordinate and follow-up with third party vendors/service providers for equipment under warranty, renewal of Licenses of softwares etc. DIGITEK’s objective is to ensure that the business sees as little downtime as possible. DIGITEK can offer support, remotely and on site, if there is a breakdown of any sorts with IT infrastructure. All these services can be customized to suit the needs, and the service levels your business demands. DIGITEK offers remote monitoring and resolution, 24×7 support, and on-site support to its customers.